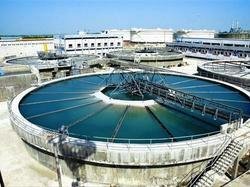 Manufacturer of a wide range of products which include lamella clarifier, clariflocculators and clarifiers. Providing to the diversified requirements and demands of our clients, we are actively engaged in offering a broad range of Lamella Clarifier . The given product works on innovative technology and efficiently treats the sewage. The provided product is precisely engineered under the supervision of diligent professionals by utilizing premium quality components. Our offered product is stringently checked before delivery to ensure its performance and quality. Also, customers can avail these at industry leading price. Lamella Clarifier is a water treatment process that features a rack of inclined metal plates, which cause separate liquid and solid, by directing the water between a series of inclined plates.We have established ourselves as a renowned manufacturer and supplier of Settling Tanks / Lamella Clarifier. Our products are highly appreciated by the clients for providing an effective solution for the clarification of water and waste water. To meet divergent demands of the clients in an efficient manner; our organization is instrumental in providing an extensive range of Clariflocculators. The offered product is extensively used for the sewage treatment. The product provided by us is praised due to its quality, performance, and durability. Our adroit professionals design the given product with dedication and precision by employing advanced technology and best quality material. Moreover, our customers can get this product from us at an industry-leading price. 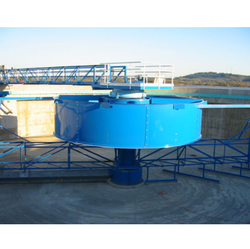 We are the leading and prominent Manufacturer and Exporter of Clarifiers. Providing to the diversified requirements and demands of our clients, we are actively engaged in offering a broad range of Clarifier & Clariflocculators. The given product works on innovative technology and efficiently treats the sewage. The provided product is precisely engineered under the supervision of diligent professionals by utilizing premium quality components. Our offered product is stringently checked before delivery to ensure its performance and quality. Also, customers can avail these at industry leading price. 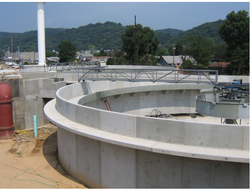 • Lamella Clarifier is a water treatment process that features a rack of inclined metal plates, which cause separate liquid and solid, by directing the water between a series of inclined plates.We have established ourselves as a renowned manufacturer and supplier of Settling Tanks / Lamella Clarifier. Our products are highly appreciated by the clients for providing an effective solution for the clarification of water and waste water.